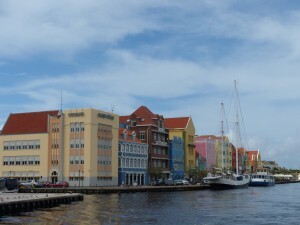 WILLEMSTAD - On behalf of Downtown Management Organization (DMO) and Otrabanda Merchants Association (SKO), the law firm HBN Law sent a letter to Minister Jesus-Leito to gain openness about the agreements between Parking Authority Curacao (PAC) and the Ministry of Traffic, Transportation and Spatial Planning (VVRP). In particular, it disputes the legal basis of drawing up a contract with a party whose term of management has already ended. In doing so, the lawyer also asks whether the minister shares the opinion that not paying the government as was agreed should lead to a contract termination with the PAC and not a new one. DMO regrets the minister's statement that the merchants' association is making a big issue out of the whole situation. This statement shows that the Minister regards parking as an unimportant subject, while it is one of the reasons that things are going badly with the inner city. DMO and SKO have been working on the parking problem for years without any movement from the government since the installment of the new cabinet. Unfortunately, the non-profit organizations have noticed that only through pressure and the media things seems to be moving. DMO and SKO want openness of things. It is not possible that a contract is concluded with a party that by itself decides that they will never fulfil the conditions of the original agreement. Instead of punishing this organization, a new contract is automatically signed.